The Embassy of Japan in the U.K. is reportedly paying up to £10,000 to a right-wing think tank to stoke fears against China's investments in the country. Although it has yet to be proven, it nonetheless serves as a shameful move that could only prevent smooth relations between the Asian giants. Per Xinhua, the Henry Jackson Society (HJS) has been hired by the Embassy of Japan to influence ranking British politicians that Chinese foreign policy is detrimental to the U.K. Investigators say that the HJS, with its right-wing leanings, have approached the likes of British Foreign Secretary Malcolm Rifkind. The paid motive of the HJS became apparent with Rifkind himself confirmed that one of the think tank's representatives talked to him about including his name on an article regarding the U.K.'s Hinkley Point C nuclear plant. Specifically, the article insinuates on China's involvement in the facility, RT reported. The timing of the controversy comes amid growing involvement of Chinese businesses in the U.K., which is looking for strategic economic partnerships outside Europe following Brexit. The strength to which bilateral ties have grown between the two countries have apparently been to Japan's ire. 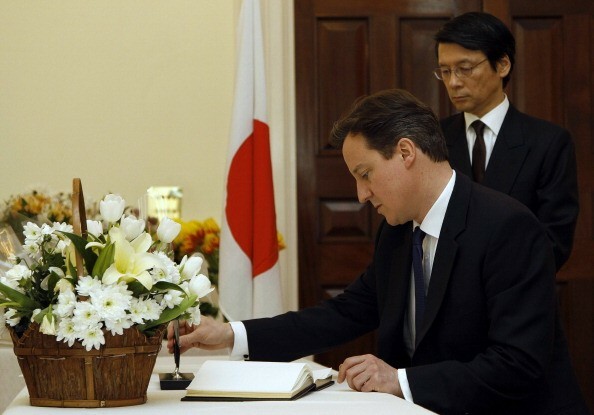 Further elaborations from the reports say that the connection between HJS and the Embassy of Japan started with the involvement of PR firm Media Intelligence, owned by former Tory PR Nick Wood. The consortium involves the formation of an anti-China communications strategy worth £15,000 monthly. The communications strategy would aim the involvement of British politicians and mainstream media, including journalists associated with The Telegraph and The Guardian, which would air propaganda against the U.K.'s exposure to Chinese foreign policy. Although no one from the Japanese government and the Embassy of Japan has yet to comment on the matter, their silence only serve to compound the shame the controversy has generated. It also casts a negative light on the HJS, which anchors itself on a pro-democratic frame. Is technology going to be the end of human beings? How Ethical Is the Business of Cloning Animals? Why Are Chinese Men Becoming More Invested in Their Own Looks?